Lawrence Police Officer William Green accused Lawrence Police of racism and discrimination. The MCAD ruled that not only was there no evidence of racism but disputed the details of each of his claims. The Massachusetts Commission Against Discrimination (MCAD) has ruled in favor of Lawrence Police in a discrimination suit filed by embattled Lawrence Police Officer William Green. Green accused the Lawrence Police Department, and in particular Superior Officers of racism and discrimination against him. Green is Black. Green alleged that he was being treated differently than white officers when he was disciplined for, among other things; allowing a prisoner to escape, failing to turn in approximately $4,000 he had been paid in cash from doing private detail work at nightclubs, going outside the chain of command, and accessing the database to obtain personnel information about another officer’s sick time. 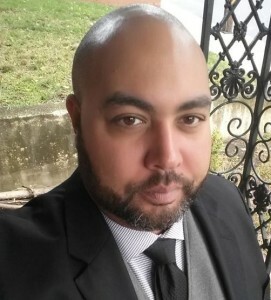 The MCAD not only found that Green’s allegations of racism were unfounded against superior officers of the Lawrence Police, they disputed point-for-point, each of his charges of racism and discrimination as false. President of the Lawrence Police Superior Officers Union, Captain Captain Scott McNamara, told The Valley Patriot that he was happy the matter has come to a close, and that he and his fellow officers were vindicated by the Commission’s findings that no discrimination or racism took place. Captain Scott McNamara and his fellow officers were exonerated on racism charges and are considering a defamation suit vs. Officer William Green. McNamara says that he and the other officers accused of racism are exploring legal options and may sue Officer Green for defamation. Asked what he thought about the public pronouncements by Officer Green at city council meetings and on his Facebook page that the Lawrence Police are “racist” McNamara did not hesitate to answer. “Frankly, his opinion means little to our members,” he said. “His disciplinary record speaks for itself and his lack of integrity and trustworthiness is a matter of public record. We can’t help but acknowledge that social media has given him a platform, a platform that he has perverted to stoke the flames of racial animus in our City for his own personal and political gain. McNamara says MCAD represents the third independent entity that has disputed William Green’s claims over last three years. The Valley Patriot has requested the video. McNamara said that he wanted to thank the assistant City Attorney Raquel Ruano, and the other attorneys on the case, particularly Andrew Gambaccini. William Green did not respond to requests for comment on this story. The Valley Patriot has submitted a public records request for the total legal and administrative costs to the City of Lawrence for all of Green’s unfounded accusations. Never a dull moment. This man, like so many using shortcuts to get ahead sunk to playimg the race card. In a profession where trust and honesty is paramount he betrayed both. Sad.